Mele Murals will premiere on April 24, 2017 on World Channel & Pacific Heartbeat on PBS! Check local listings. Mele Murals will be streaming online for free May 1-May 31, 2017. 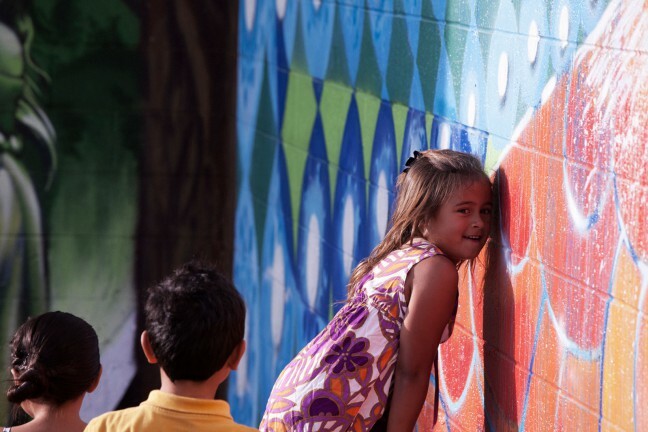 Mele Murals is a documentary on the transformative power of modern graffiti art and ancient Hawaiian culture for a new generation of Native Hawaiians. At the center of this story are the artists Estria Miyashiro (aka Estria) and John Hina (aka Prime), a group of Native Hawaiian charter-school youth and the rural community of Waimea, dealing with the ill effects of environmental changes and encroaching modernization on their native culture. Set against the resurgence of Hawaiian language and culture of the past twenty years, Estria and Prime tell how their street art has taken them on personal journeys to discover their history, identity and responsibilities as Hawaiian people. 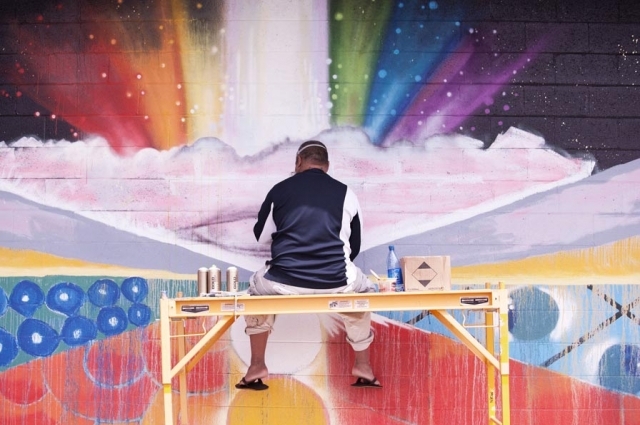 Estria, who left Hawai’i to study art on the mainland, made a name for himself as a street artist and returned to reconnect with his Hawaiian roots. Prime, who grew up in the projects and became one of the first kings of the Honolulu graffiti scene, left a life of hustling and drugs after the birth of his first child and returned to writing when he realized it was a way to help youth. Through the personal stories of these two renowned Hawaiian graffiti artists and their joint quest to uphold Hawaiian culture through mural-making, “Mele Murals” shows how public art rooted in underground graffiti combines with Native Hawaiian traditions and contemporary life to impact the students, the town of Waimea, and most of all the artists. Follow Mele Murals on the film’s website or on Facebook for updates.